This widget may be simple, but its as smart as a whip! 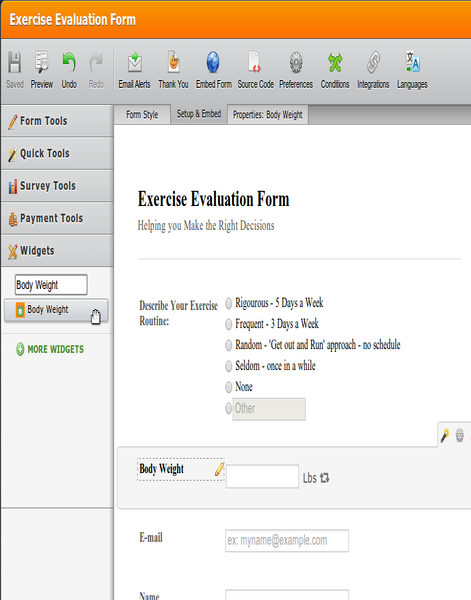 Often, you may not know which place in the world your form will be filled from, and if you have a body weight question, you may end up with a confusing set of units, that is, pounds or kilograms used interchangeably. 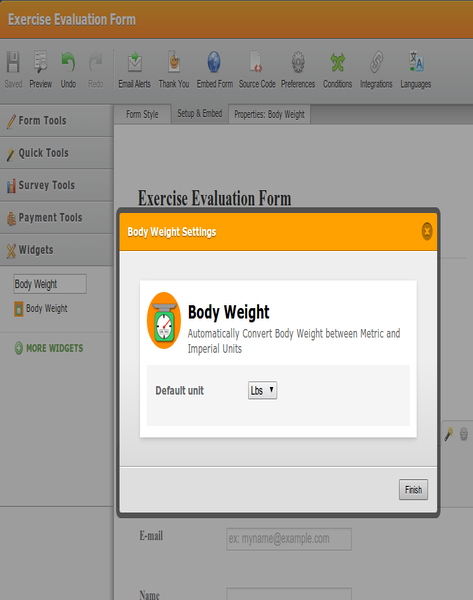 To make sure that does not happen, this widget allows your form users to select which units they would like to use when entering their body weight value. The widget will automatically convert the value and present it to you in both metric and imperial units, that it, kilograms and pounds. 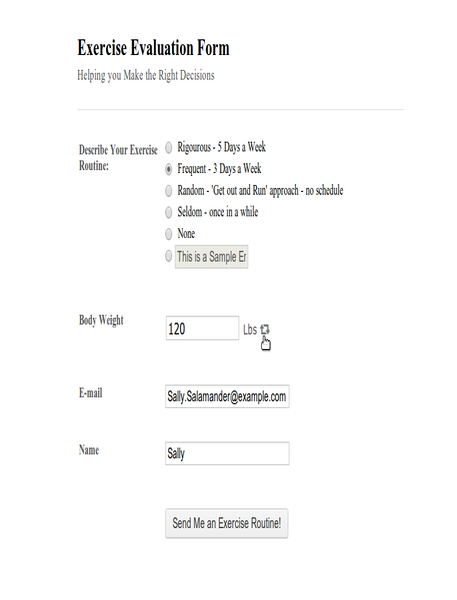 The widget only requires that you set your default unit that will be presented when the form is opened, and you are good to go!